This is the third part in a brief series on Nicole Vincent’s article “Madness, Badness and Neuroimaging-based Responsibility Assessments”. In part one, I covered the basics of criminal law and responsibility, and looked at Vincent’s suggestion that neuroimaging could play a role in assessing capacity for responsibility. In part two, I explored some of the problems with this suggestion. In particular, I explored the problem that arises from the overlap between conceptions of moral badness and mental illness. Read from right to left, this schematic says that one’s culpability arises from the violation of one’s duties; one’s duties are dependent on what one can and can’t do; and what one can and can’t do is dependent on one’s mental capacities. 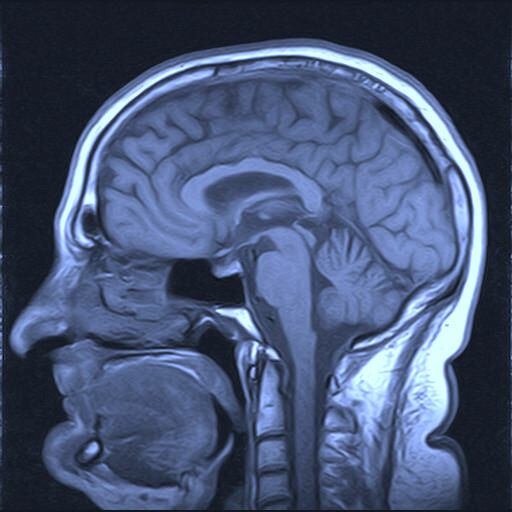 Consequently, evidence of impaired mental capacities — which is the kind of evidence brain scans might provide — can undermine culpability. How is this position defended? “Responsible” Jane: Jane is eight years old and very well behaved. She gets up in the morning, washes, dresses and prepares her lunch all on her own accord. She doesn’t get into trouble at school, she always does her homework, she helps prepare the dinner and even looks out for her older brother John. Yet despite all of this, she is only eight years old and so has not fully developed the capacities needed for blameworthiness. When she slips up or does something wrong, we do not blame her for doing so. In other words, Jane is responsible in the virtue sense of responsibility, but she is not responsible in the capacity sense of responsibility. “Irresponsible” John: John is seventeen years old and badly behaved. He constantly plays truant from school, frequently skips his homework and avoids helping out at home. He has to woken up most morning and someone else has to clean his room and prepare his lunch. Yet despite all this, John has developed the capacities needed for blameworthiness. When he fails to do what we expect of him we blame him for this. In other words, John is responsible in the capacity sense of responsibility, but he is not responsible in the virtue sense of responsibility. Vincent uses these examples to make the following point: if we accept the legitimacy of the virtue/capacity distinction, then we will notice that people can be assessed for responsibility on two separate grounds. First, they can be assessed on the basis of who they are (virtue) and second they can be assessed on the basis of what they did (capacity). Furthermore, when we say that someone is responsible on the grounds of who they are, nothing in particular follows about their responsibility for what they did. The two judgments are conceptually distinct. Before we consider the implications of this distinction for Vincent’s overall argument we need to make another distinction. This distinction has to do with the different stages in the criminal trial. In particular, with what we might call the guilt determination stage and the sentencing stage. At the guilt determination stage our primary concern is with capacity responsibility: did the accused person have the requisite capacities to be held responsible for what they did? At the sentencing stage, capacity responsibility is taken for granted and we shift to consider virtue responsibility: does the person have the kind of character traits that make them a fit subject for punishment? Obviously, these distinctions have significant implications for Vincent’s argument. She is claiming that evidence of a reduction in capacity would be exculpatory. This is contrary to the view of Heidi Maibom, who maintained that a reduction in capacity could sometimes be inculpatory (because it could suggest that the person was morally evil). And it is also contrary to the view of Margo Reimer, who maintained that: (a) a reduction in capacity could be, at the same time, inculpatory and exculpatory; and (b) there was no principled basis for choosing between the two interpretations. Vincent responds to these contradictory views in the following manner. First, she argues that Maibom’s claims conflate the virtue and capacity senses of responsibility. To go back to the earlier example of Conrad the psychopath, Maibom’s belief that he is culpable is a belief about virtue responsibility, not a belief about capacity responsibility. It is something that would be relevant at the sentencing stage of the criminal trial, not at the guilt determination stage. Consequently, such a belief should not affect Vincent’s suggested role for neuroimaging. The same basic argument applies to Reimer’s claim. When she says that evidence of incapacity can be both inculpatory and exculpatory, she is failing to distinguish between the two responsibility concepts and the two stages in the criminal trial. The evidence of incapacity could be exculpatory at the guilt-determination stage and inculpatory at the sentencing stage. What’s more, the conceptual distinction between virtue and capacity responsibility provides the principled basis for shifting between these two interpretations. To sum up, Vincent thinks her argument has done two things. First, it has identified how neuroimaging evidence could affect judgments of criminal responsibility. And second, it has shown, contrary to the views of Maibom and Reimer, that there is no genuine conflict between the inculpatory and exculpatory interpretations of neuroimaging evidence: they simply apply to different stages of the criminal trial and to different concepts of responsibility. Allow me to conclude with two observations. The first observation has to do with Vincent’s claim to have dissolved the conflict between the inculpatory and exculpatory interpretations of neuroimaging evidence. I’m not convinced that she has managed to do so. Indeed, I think a clear conflict remains. In this regard, look at Vincent’s response to Reimer. In this response, she seems to be doing two things: (i) she is arguing that evidence of incapacity (such as the evidence of the psychopath’s lack of empathy) would be potentially exculpatory at the guilt determination stage but inculpatory at sentencing stage; and (ii) she is arguing that this means there is no real clash between the exculpatory and inculpatory interpretations of such evidence. But this second is clearly not the case. Since guilt-determination is a necessary precursor to sentencing, a person who was excused at the guilt-determination stage would never reach the sentencing stage. Thus, to hold to the inculpatory interpretation of the evidence at that stage would necessarily exclude the exculpatory interpretation at the later stage. And if one judgment is necessarily excluding another, a conflict clearly remains: the judgments are not as conceptually distinct as Vincent seems to be claiming (at least, within the criminal law they are not that distinct). Furthermore, if we run with the exculpatory interpretation we fail to do justice to the intuition that is guiding people like Maibom and Reimer to the inculpatory interpretation. This would mean we ignore the main issue. The second observation has to do with Vincent’s interpretation of the Jane and John examples. She says that because Jane is only eight years old she lacks the capacity for responsibility, and that this is true despite the evidence of good, responsible character. I think this claim adopts an questionable account of the development of capacity, and an unrealistic account of the relationship between virtue and capacity. As regards the first of these issues, while it is true that the legal system traditionally viewed children as lacking in capacity, this is a view that is in decline. There is a push now for much more individualistic and functional assessments of capacity, as well as an increasing call for the views and interests of children to be taken into consideration in legal decisions that affect them. I think these moves are driven by an acknowledgment that a bright-lined rule like “all persons under the age of 16 (or whatever) lack capacity” fails to do justice to the differential rates of capacity-development across individuals. Why couldn't Jane just be a precocious developer of responsibility-relevant capacities? As regards the second of these issues, I can’t see why evidence of virtuous character would not also lead us to conclude that the person has well-developed capacities as well. At any rate, I don’t think the disconnect is as pronounced as that suggested by Vincent.